After 6 1/2 years with us, our driver Lee Little decided to retire. Many of you have had the pleasure of interacting with this charismatic fellow over the years, and you know how dedicated he was to making the deliveries on time (often early). We had hoped Lee would finish out the year with us. It’s been a rocky transition to a new driver, but now we are set with a responsible, dedicated driver for the rest of the season, William Harriman, who has been employed on the farm in various capacities over the past few years. William is methodical and prompt, so we expect that our delivery system will soon be back to normal. Travel Note: With the I-90 construction from Elgin to the Rockton Road exit, expect that 45 mile portion of the drive to take over an hour. It’s usually extra busy here before 11, so we don’t recommend showing up early (unless you are coming for the birdwatching at 9 am). However, we do recommend showing up between 11 and 11:30, so you can take part in the hayrides before lunch. 11:30 to 12:30: Mingling, Hayrides to the Farm Animals and then Pumpkin Picking; Flower and Basil Picking; also the Family Photo Booth: There will be hayrides before lunch hop on for a quick visit to the farm animals at the Learning Center and then off to the pumpkin and gourd patch. Pick flowers from our U-Pick Garden and a generous helping of tattered but usable basil from our fields, suitable at least for pesto. You’re welcome to a whole grocery bag of basil. You can also have a fun or formal family photo taken at our Family Photo Booth with Angelic Organics as your backdrop. * The dishes at past open houses have always been phenomenal, but sometimes we run short on food. (This embarrassment happened at our last open house–this is not to occur on a farm that is all about food! Please bring a dish that will serve at least 15. * Please bring your own place settings & beverage. We furnish some tables and chairs. Consider bringing a blanket on which to picnic, so we don’t have to provide so many chairs. 1:30 to 2:15: Tai Chi Demonstration/Introduction: (Shareholders are invited to join in.) Years ago, Elizabeth Wenscott, a loyal shareholder and very special soul, led a magnificent Tai Chi presentation at a farm open house to celebrate the shareholder acquisition of land adjacent to the farm. Elizabeth passed on this year, and the performance at our fall open house is in memory of Elizabeth. The Tai Chi Center will present a Tai Chi Form and a Sword Form from 1:30 to 2 pm. At 2 pm, interested shareholders and guests will be invited to take part in a brief introductory session of Tai Chi. 2 – 4 Family Farm Photo Booth: Another chance for a fun or formal family photo taken with Angelic Organics as your backdrop. 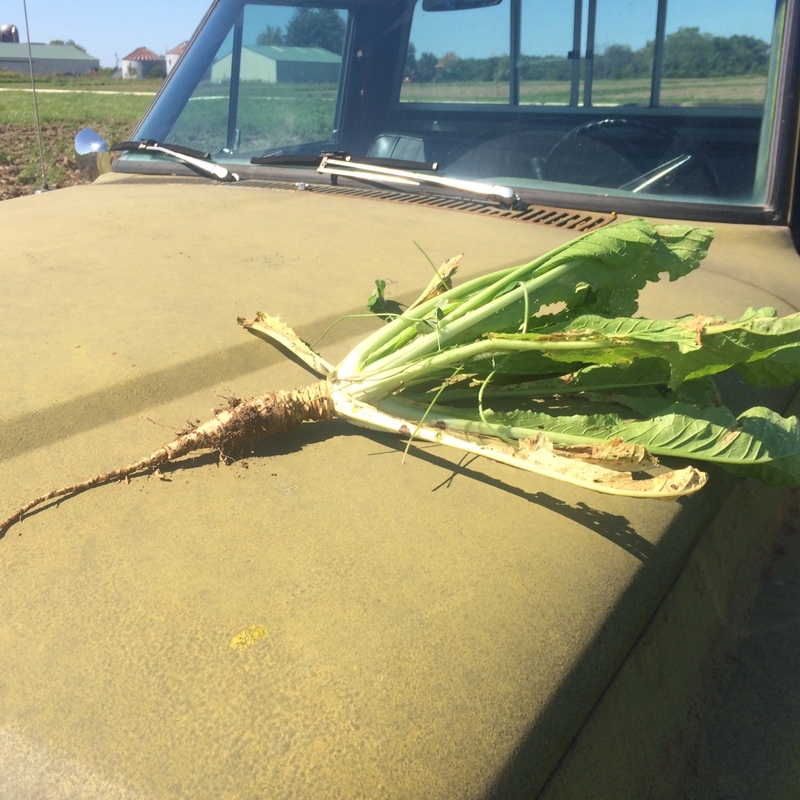 Tillage turnips are creating quite a stir in farm fertility programs, even on conventional farms. They burrow deeply into the ground, loosening the soil and adding biomass. They are also thought to support plant health due to their production of glucosinolates, which fight soil born pests and pathogens. 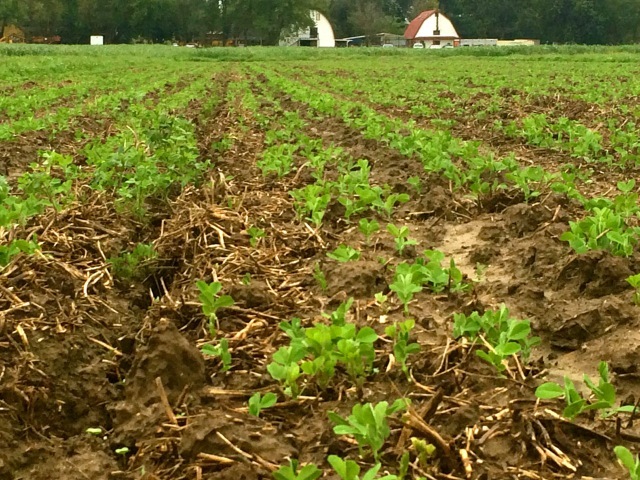 We seeded tillage radishes with alfalfa, clover, timothy, and Sudan grass in the spring. Some of the radishes have burrowed down more than a foot into our soil. We look forward to the benefits next year from these tillage radishes in our cover crops next year. 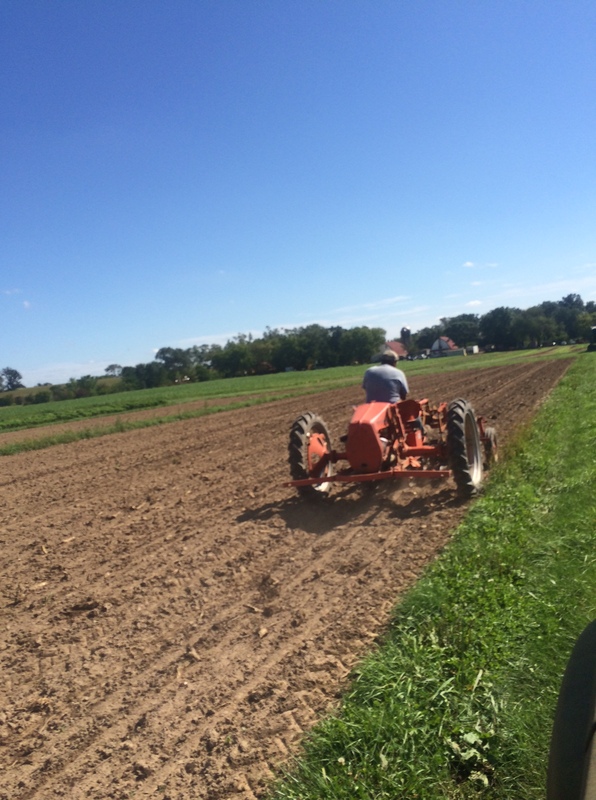 Next week, weather permitting, we’ll harvest the fall beets, and a lot more potatoes, pie pumpkins and winter squash. Too much of a good thing is not a good thing. We’ve had way too much rain this year. 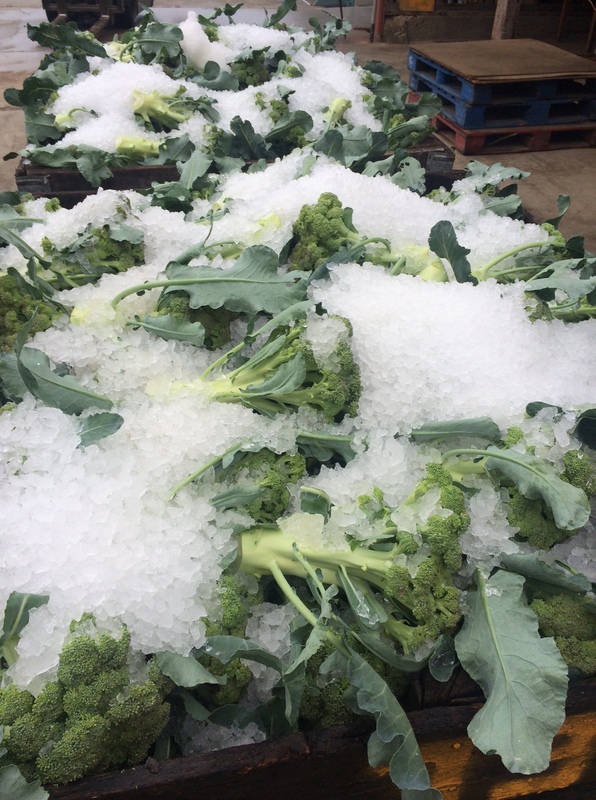 The soil is waterlogged; harvesting is more difficult in muddy fields, and some crops, such as lettuce, chard, and beets, have suffered from foliar degradation. The beets will be fine, but there will be no beet greens. Many beds of lettuce have been planted for fall harvest; we believe the foliar problems in the lettuce will diminish with the cooler weather. Lots of mud for the crew to trudge through. Our U-Pick Garden has flowers, and a few green beans. Come to Angelic Organics Learning Center on Sunday, October 5th from 1 PM to 4 PM for this family-friendly hands-on workshop. We’ll introduce the process of cheesemaking from start to finish, from milking the goats to tasting fresh goat’s cheese. The class will feature ricotta and queso blanco. Please register for kids and parents ages 6 and up. $16 per person. Click here to register.